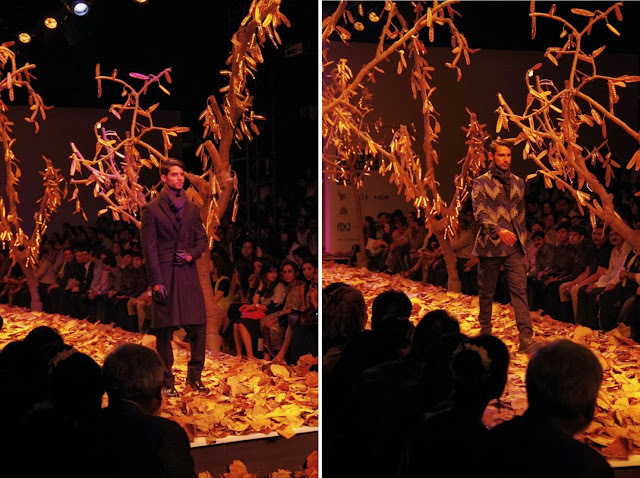 Woolmark ambassador for India, Rajesh Pratap Singh, did full justice to the Autumn- Winter season of Wills Lifestyle India Fashion Week 2013. 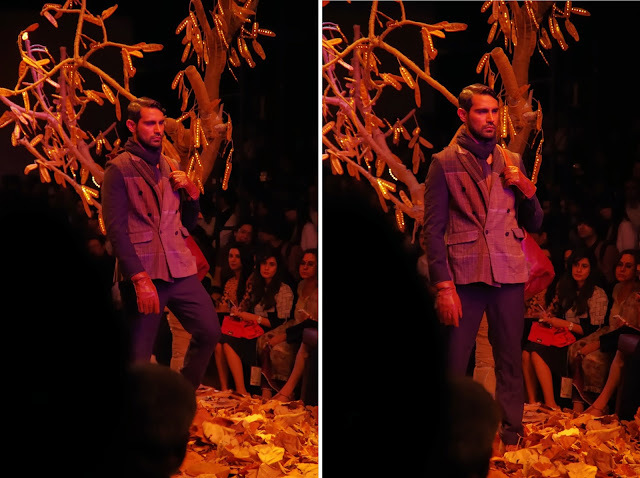 The runway was covered with trees whose branches were neatly wrapped in threads of wool and leaves that glowed in dark. 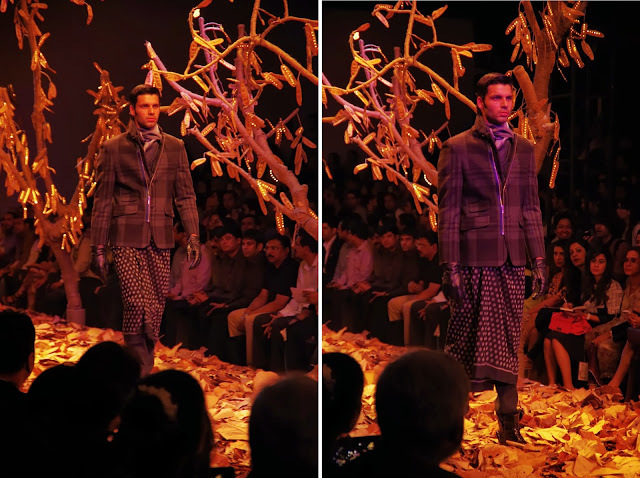 It was very beautiful to see as models walked down the ramp in the season’s hottest trend of chequered woollen jackets, coats and fitted pants and trousers. 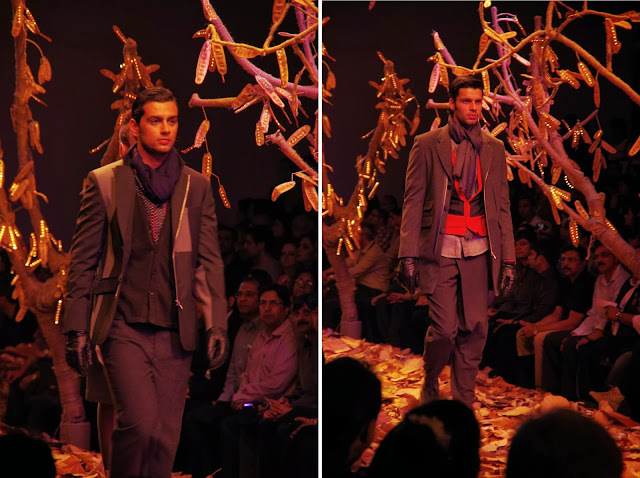 Wool was the new Luxury Fibre for Rajesh’s AW13.